The function allows receiving the list of opened shares available on remote computers. The program can also display the list of hidden resources (marked with the $ sign.) Double click a share and it will be opened in Windows Explorer. Fig. 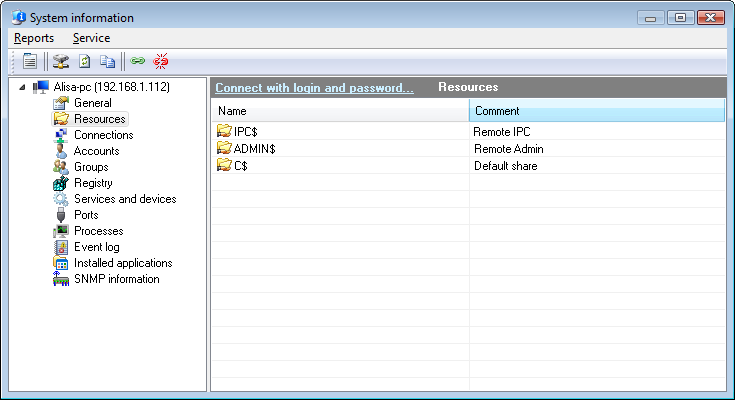 1: The Remote computer's shared resources window. You can select a share in the list and bring up the context menu. Click Connect network drive... if you want to map this remote share as a network drive. You will see the standard system dialog for the network drive mapping. You can copy the data to the clipboard and then paste it to any text file or Microsoft Excel sheet. To do that, right-click on the share list and then select Copy to clipboard on the menu that appears.